If you are going independently, I mean without a tour operator, don't forget to buy the Machu Picchu entrance Ticket from Aguas Calientes or from Cusco. You can not get ticket at the entrance gate. Many people email me asking on Machu Picchu city. They want to know more about the location of the ruin in Machu Picchu city. Some of my visitors want to know ' Is Machu Picchu a city?'. 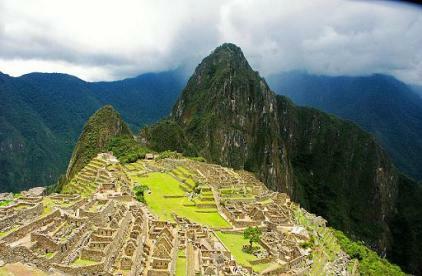 Some are curious,' What this Machu Picchu actually is?'. So I planned to write a page on 'Machu Picchu City'. Machu Picchu city or Machu Picchu ruins! Yes, you can take Machu Picchu as a city. But the truth is it was a city, or a place to live, long long ago. This place was abandoned for some unknown reasons, even before the Spaniards reached in Inca domain. Since then it remained obscured, nobody knew the existence of Machu Picchu until 1911, when Hiram Bingham discovered it. By then it had turned to be a ruin only. When it was cleaned, the beauty and mystery of this ruin attracted the interest of the world. Since then the ruin had become a popular attraction for the tourists. The famous Machu Picchu picture ( as above), you see everywhere, is the picture of this ruin. And when people visit Machu Picchu, they actually visit this ruin, not any city. The closest city from Machu Picchu ruin is Aguas Calientes. Local authority renamed the city (Aguas Calientes) as Machu Picchu Pueblo recently. Pueblo is a Spanish word, which means town or city. But the new name never became popular. People here still call it Aguas Calientes. Aguas Calientes is only few kilometers from Machu Picchu ruins and 112 km from Cusco city, Which is a major city in Peru. 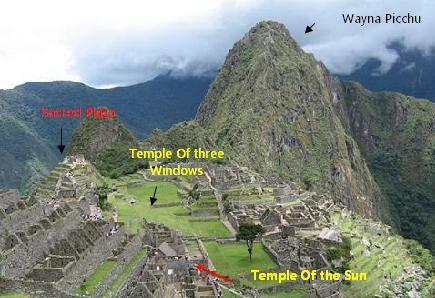 Now you know the location of Machu Picchu ruin, right ? So don't try to look for Machu Picchu city, because no city like Machu Picchu exists now. 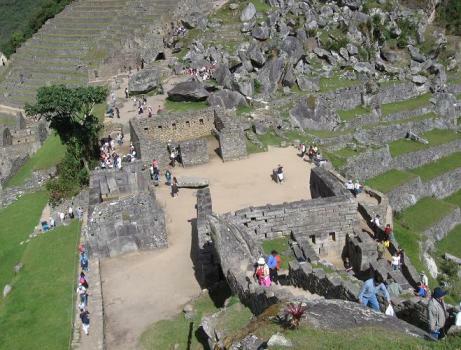 Most of the Machu Picchu Tourists stay in Aguas Calientes city. There are many hotels in this small touristy town. And you will find lot of restaurants there. If you are looking for luxury, then you can stay in one of the two luxury hotels, one at Aguas calientes town, "Inkaterra Machu Picchu", and other one is "Machu Picchu Sanctuary Lodge". Though the ruin now have nothing a present city should have, other than the beautiful ruin itself.